It was 25 degrees outside that Tuesday, January 9th, 2018. Psychotherapist Imamu Baraka was leaving his office across the street when he saw staff from University of Maryland Medical Center Midtown in the process of dumping a woman at a bus stop in only a hospital gown and socks. Furious, he began recording the event on his cell phone, called 911, made certain the woman was re-admitted to the ER and concerned no one would believe him, uploaded the video. The frightening footage, evidence of a heinous practice called "patient dumping" went viral. 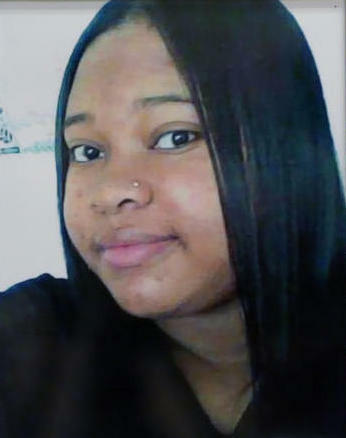 A week before, Cheryl Chandler had reported her 22-year-old daughter, Rebecca X, missing. Six years ago, Rebecca had been diagnosed with Asperger's and a psychiatric disability. She had been placed in a group home in Charles County, MD, but later evicted from it on the excuse that she refused to take her medication. Her family enrolled her in what they were told was an intensive inpatient treatment program. How Rebecca went missing from there is not clearly understood. Her mother was browsing the Internet when she happened upon the trending video and played it. She doesn't remember what happened after the moment she recognized the young woman in the hospital gown on the street was Rebecca. According to family members, she screamed her anguish. Ms. Chandler immediately called the medical center demanding to know the location of her daughter but they refused to tell her. Finally after calling them, the police were able to locate Rebecca at a homeless shelter. During a press conference in Rebecca's attorney's offices, unable to hold back tears, Rebecca's twin sister Rosslyn read a letter from Rebecca, thanking everyone for their help, telling everyone she was safe. Ms. Chandler was adamant that Rebecca was not homeless or uninsured, and was very much loved. It was Ms. Chandler who had hired an attorney for Rebecca. There is such massive failure at the core of what happened to Rebecca. These nightmarish events, that frighten every stakeholder in our community, make it clear that every system that is supposedly in place to help our disabled children throughout their lives is broken. So for Rebecca, I want to not just point out what it means to be #AutisticWhileBlack, but also touch on alternatives steps to eventually ensure that the rest of the lives of our loved ones aren't scenes from American Horror Story. Rebecca did not receive a diagnosis of Aspergers (a diagnosis that should be ASD because the term Aspergers is no longer part of the DSM-V) until she was 16. Years of coping with a disability no one was aware of might very well result in trauma and subsequent psychiatric disability. The extreme late diagnosis of African American women and girls, who are already subject to trauma from racial discrimination, colorism, and institutionalized misogyny, requires trauma-informed care solutions. Although the Baltimore City Health Department makes itself available for training in trauma-informed care, UMMC staff has either not availed itself of such training or UMMC is not administrating it. My question here is why? Then there is the myth that the best care for a disabled young adult with psychiatric challenges is the enforced compliance and regimented schedules of institutionalized settings such as group homes. Peer mentored community living spaces are more cost-effective, empower disabled clients with life skills, and integrate them into their communities such that they are known community members who are simply people neighbors and business owners care about and therefore hire, respect, and accept. The idea that the goal of group home residency is passively ingesting medications and being compliant drives resistance and fear in residence. We do not know what compelled Rebecca to refuse her medications. She certainly did not wish to be homeless. Who would? So the question should not be why was Rebecca 'noncompliant' so much as why is Rebecca's trauma, along with the agency she was accustomed to until her diagnosis day, being ignored? We must move past the stigma and fear of psychiatric disability as it is portrayed in media and grasp that autistic adults who also carry a psychiatric disability label have the same rights as any patient does to safety, respect, and agency in their care. Then there is the injustice of health care inequity and denial for autistics of color in general and those who are autistic while black in particular. A canyon divide in quality of care for autistic children and adults of color and those of affluent white families exists. African American disabled children and young adults are consistently labeled more noncompliant and oppositional than their white peers and rejected more for dental care and primary care than their white peers. What we know about Rebecca's plight is UMMC did not treat her and from the video, she looked injured. Even after Mr. Baraka called 911 and Rebecca was readmitted into the ER, she was sent to another center for treatment and then placed in a homeless shelter. Maryland has a silver alert law, passed to speed the locating of a missing senior with conditions like Alzheimer's or Dementia. There is no such law for Autistic children and adults because those opposed to it say that constant alerts would reduce the effectiveness of the two they have. Most of us aren't aware that Amber Alerts apply to a very narrow set of circumstances rather than being an alert for all missing children. Our African American community, in frustration with the lack of interest in our missing youth, has tried to leverage social media to search and find our own missing loved ones. In Rebecca's case, shouldn't the hospital have reached out to the police about Rebecca to ask if she fit the description of any missing person? Who ordered the discharge of a bleeding, vulnerable, near naked patient to an outdoor uncovered bus stop in record low temperatures? What if Mr. Baraka had not been there filming? I have a nonverbal autistic teen son. The thought chills me to the bone. If Rebecca was in an inpatient program how was she lost? Could a simple medical alert necklace have been used to ensure her safety and identification when she needed help? Patient dumping is against the law. Period. It is clear that Rebecca is not the first or only victim. The only way we can make certain this doesn't happen to anyone else's autistic loved one is to decide what each of us can do to make it clear we won't tolerate this happening to Rebecca or anyone else again. It is up to us. No one is going to do this for us. Right now, what I see is autistic organizations so engrossed in public policy protests and actions to preserve Medicaid, the Affordable Care Act, and the ADA, (all of which are necessary but not their only obligations) that their primary responsibility as advocacy organizations, to protect autistic people and fight for them, has been ignored since the election. Moreso when the victims of gross maltreatment are disabled people of color. No matter what the crises, labor should be divided so that the primary mandate of autistic, mental health, and disability rights advocacy organizations, advocacy, is fulfilled. Email your State Departments of Health, your Governors, your state legislators. Tell them Rebecca's story. Tell them to act so this doesn't happen. This could be your son or daughter. Do something, because, at this moment in time, no autism organization seems to give a damn.